Starfish Transportation takes pride in safely transporting our passengers each and every day. Safety is our #1 priority. School buses are the safest mode of transportation for getting children back and forth to school. 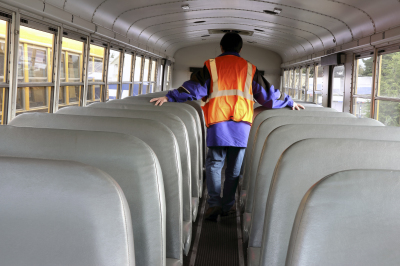 More than 25 million children ride school buses throughout the U.S. twice a day. Statistics show that children who walk, ride bicycles, use public transportation, drive themselves, or ride with other students or parents are not as safe as those who ride yellow school buses. This is a responsibility we do not take lightly.